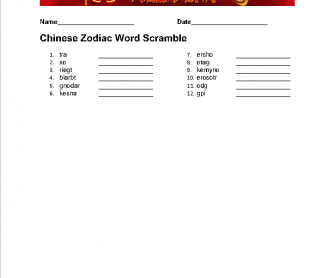 This is a word scramble for the Chinese zodiac signs, sentences to match match zodiac signs with, and a few bonus words. 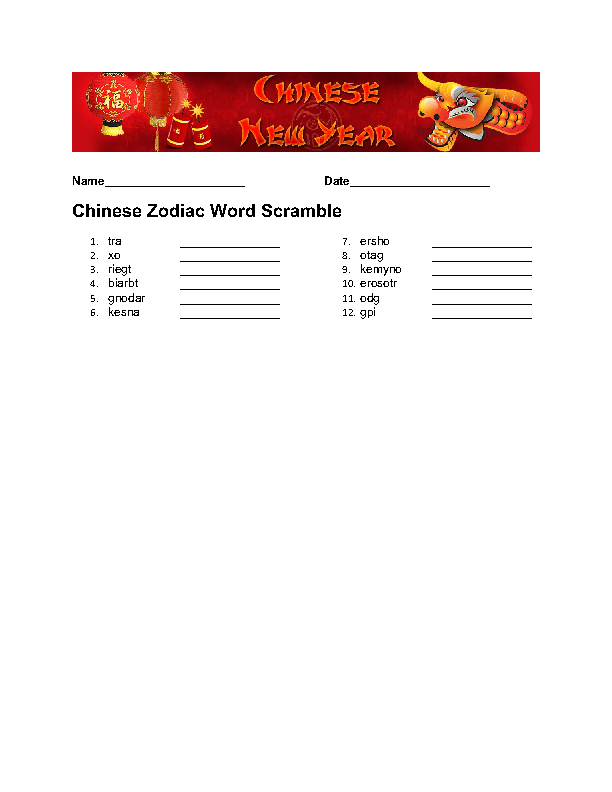 The bonus words are pineapple, envelope, lantern, rice cake, and tangerine. This is better for students who are aged 10 or more and have a higher competency level.